Two views of launch of NASA’s New Horizons spacecraft aboard an Atlas V rocket on January 19, 2006, from Cape Canaveral Air Force Station, Fla. New Horizons was the fastest spacecraft ever launched, leaving Earth at approximately 36,000 miles per hour. New Horizons is an interplanetary space probe that was launched as a part of NASA’s New Frontiers program. Engineered by the Johns Hopkins University Applied Physics Laboratory (APL) and the Southwest Research Institute (SwRI), with a team led by S. Alan Stern, the spacecraft was launched on January 19, 2006 from Cape Canaveral Air Force Station by an Atlas V rocket directly into an Earth-and-solar-escape trajectory with a speed of about 16.26 kilometers per second (58,536 km/h; 36,373 mph). Its primary mission was to perform a flyby study of the Pluto system in 2015. It has a secondary mission to fly by and study one or more other Kuiper belt objects (KBOs) in the decade to follow. 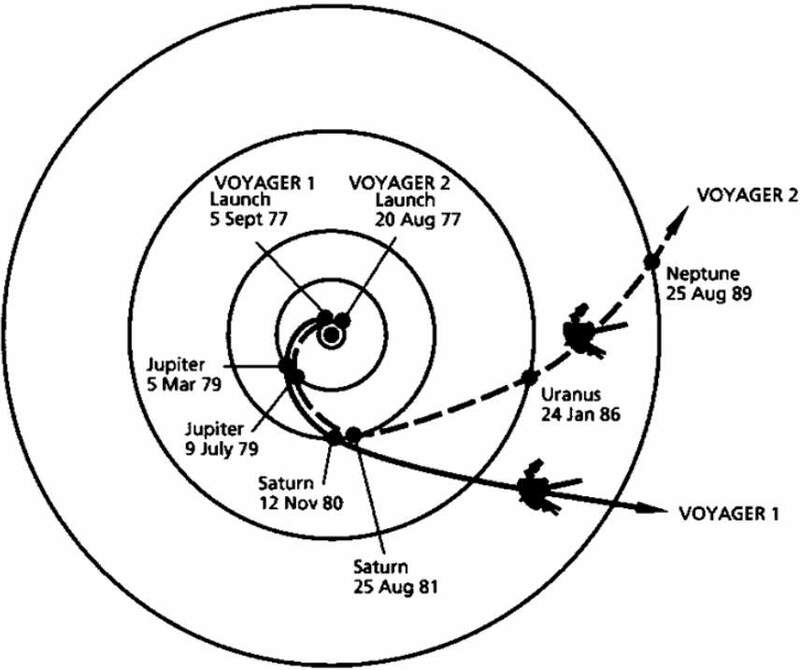 It is the fifth of five artificial objects to achieve the escape velocity that will allow them to leave the Solar System (others being Pioneer 10 – launched in 1972, Pioneer 11 – launched in 1973, Voyager 2 – launched in August 1977, and Voyager 1 – Launched in September 1977). New Horizons launched on January 19, 2006. 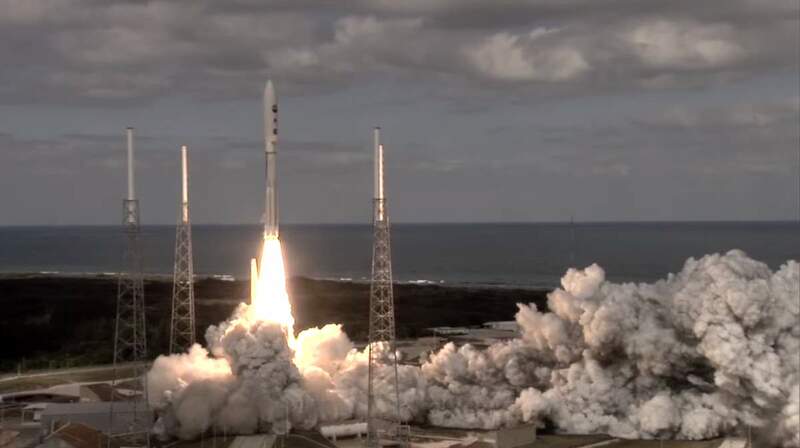 It swung past Jupiter for a gravity boost and scientific studies in February 2007, and conducted a six-month-long reconnaissance flyby study of Pluto and its moons in summer 2015, culminating with Pluto closest approach on July 14, 2015. As part of an extended mission, pending NASA approval, the spacecraft is expected to head farther into the Kuiper Belt to examine another of the ancient, icy mini-worlds in that vast region, at least a billion miles beyond Neptune’s orbit. New Horizons seeks to understand where Pluto and its moons “fit in” with the other objects in the solar system, such as the inner rocky planets (Earth, Mars, Venus, and Mercury) and the outer gas giants (Jupiter, Saturn, Uranus and Neptune). Using Hubble Space Telescope images, New Horizons team members have discovered four previously unknown moons of Pluto: Nix, Hydra, Styx, and Kerberos. In orbital mechanics and aerospace engineering, a gravitational slingshot, gravity assist maneuver, gravity boost, or swing-by is the use of the relative movement (e.g. orbit around the Sun) and gravity of a planet or other astronomical object to alter the path and speed of a spacecraft, typically to save propellant and reduce expense. Gravity assistance can be used to accelerate a spacecraft, that is, to increase or decrease its speed or redirect its path. The “assist” is provided by the motion of the gravitating body as it pulls on the spacecraft. The gravity assist maneuver was first used in 1959 when the Soviet probe Luna 3 photographed the far side of Earth’s Moon. It was used by interplanetary probes from Mariner 10 onwards, including the two Voyager probes’ notable flybys of Jupiter and Saturn.